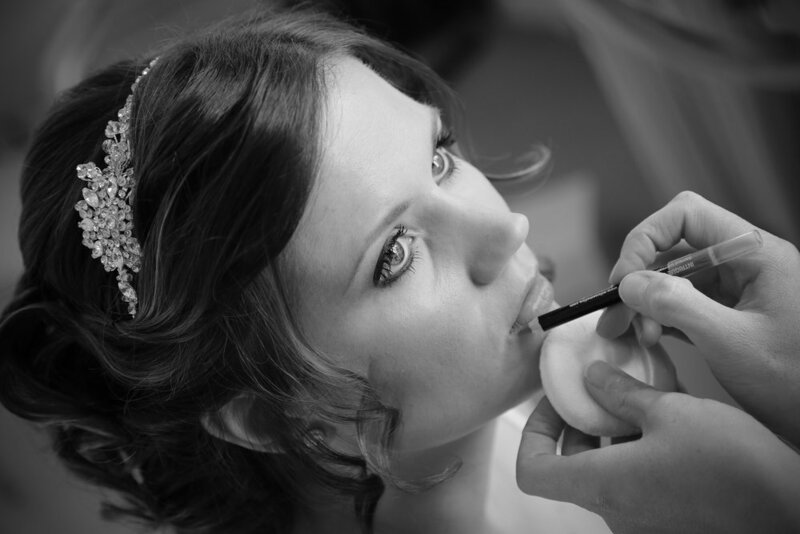 Getting hair and make-up done takes time so brides often start early in the morning but when there are a lot of bridesmaids all relying on the same hair and/or make-up artist then it will take a lot longer than you think. You should be aiming to start putting your wedding dress on an hour before you are planning to leave, so that you might be in it and ready 30 minutes before you need to leave. This allows time for some photographs and family time with parents and bridesmaids, but also some practical contingency time for when things go wrong. 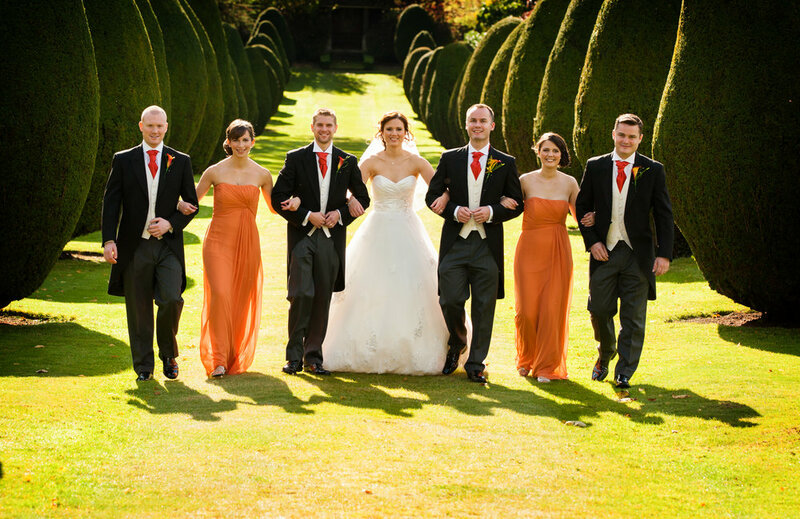 You might think having lots of bridesmaids is easier as there are more people around to help out. In reality once you get beyond 2-3 bridesmaids then any benefit of having extra hands around is outweighed by the additional time trying to coordinate with each other, having to share facilities (bathroom, mirrors, etc), taking selfies, checking which way we are tying bows, and so on. The morning build up can appear quite slow and relaxed and there's a temptation to put things off for later. However that final hour can disappear really quickly and there are then so many little things to be done. 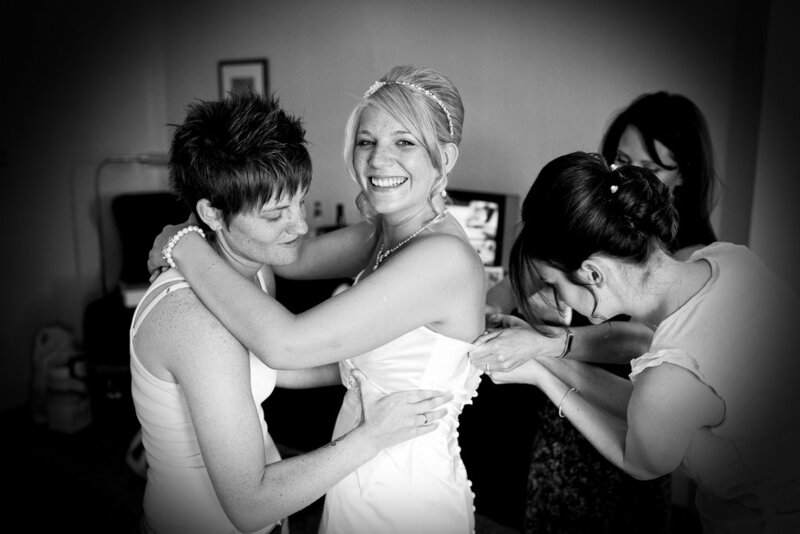 Some brides get caught out and then they are not ready or even dressed by the time the bridesmaids have to leave. You then miss out on photographs of you all together, and lose any time to relax and chat before the ceremony. If the bride is ready on time and there are no traffic delays, then the next obstacle is the people literally standing in her way before the ceremony. At the church this can be people arriving late and/or milling around outside who are yet to go and find their seats, so there might be a small delay while they are encouraged to go inside. 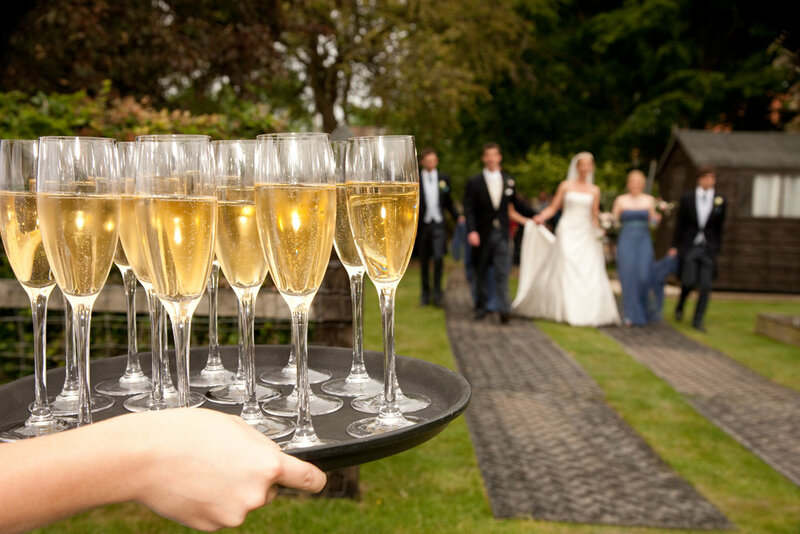 However at some civil ceremony venues where the bride is getting ready on the premises, the bride and bridesmaids will not be called down from their preparation room until all of the guests have shuffled from the bar into the ceremony room. This ensures that nobody has seen the bride before the service but can happen only a couple of minutes before the start time of the ceremony. Often the bride then has to have her final interview with the registrars (to ensure she is not being coerced into the wedding, and that all the names and other details are correctly spelt on the marriage certificate). This takes another 10 minutes or so, then the bridal party has to get lined up to make their entrance, meaning often the ceremony can actually start 15 minutes later than the advertised time. This can have a knock on effect on the timings for the rest of the day. 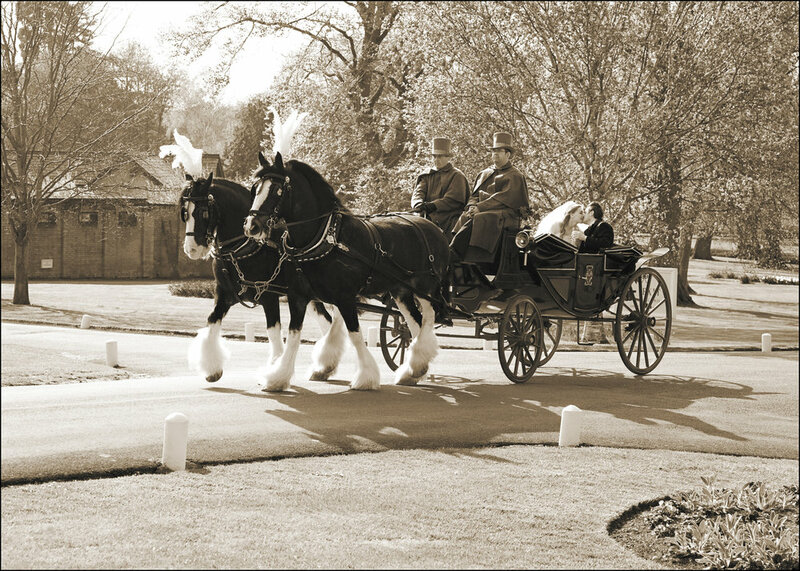 If it's 20 minutes travelling time from the church to the reception venue then some guests will do it in 20 minutes, most will have arrived after 30-40 minutes but you will need to leave 60 minutes for some people to finally make it. Families with young children, and older people tend to take longer than average. For whatever reason, the last people to arrive at the venue tend to be the parents or grandparents of the bride or groom, which means your photographer cannot get the family group photos started until they have arrived and are settled in. Bear this in mind when planning time for your photographs in the afternoon before your wedding breakfast. Some photographers view it as "their wedding" and spend far too long arranging "their photos" and fiddling with their equipment. Others have not worked at your venue before so have to wander around looking for locations. Another common problem is the photographer who wants to take the bride & groom and the entire wedding party away for 2 hours for some album shots but says it will "only take 10 minutes". There are two issues here - first of all there's a big party going on and you are missing it while you're away. The second is the unexpected delay to the wedding breakfast as the chef now has to keep the food warm until it is served. The guests who are forced to wait for your return and then to eat overcooked food will not be impressed. We recommend when you talk to potential photographers ask exactly how they work and how they ensure they keep to the schedule on the day. Do they know the venue? How do they organise and photograph family groups? Do take you away and if so, when and for how long? Using the benefit of our experience we have produced "The Bride's Guide to Wedding Day Timings", a simple guide to planning your day with real life example schedules for both church and civil ceremonies, and the reception. Click here to download it and do let us know if you have any comments or suggestions to improve it in future.